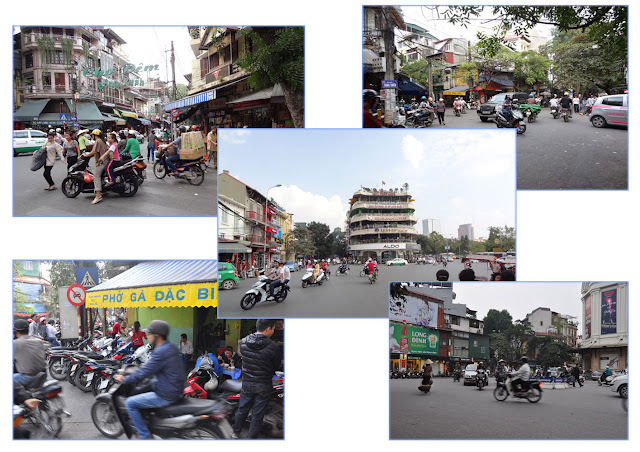 We returned home on Friday evening after 10 days traveling in and around the Hanoi area. We stayed at the Royal Palace Hotel for four of those nights and very pleasantly surprised with our choice of the low cost, boutique hotel on the edge of the old quarter of Hanoi. Wandering around the streets of Hanoi is no easy feat and is about the same as 'wandering the streets of Saigon'! 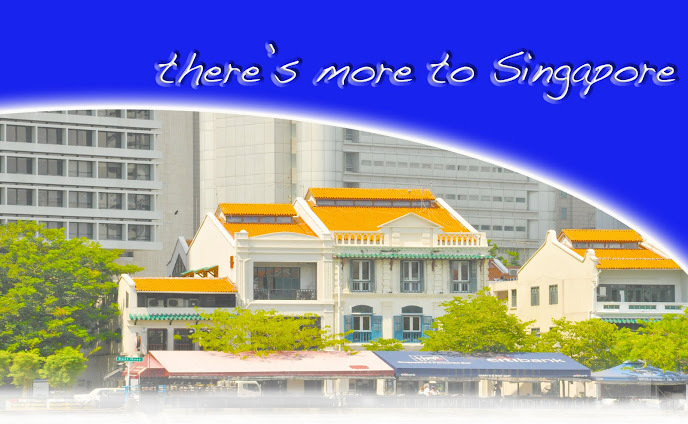 Walk straight ahead, do not hesitate and you will get across most of the roads without mishap. 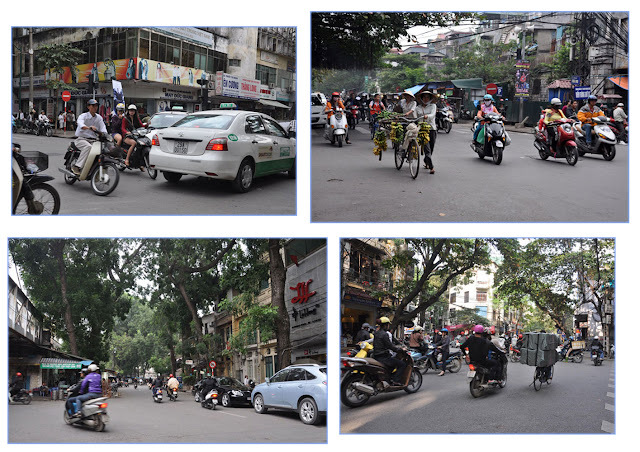 It 'seemed' to me that Hanoi was busier than the streets of Saigon, but as our last trip there was in 2008, perhaps my memory of the traffic there has been blocked out. Either way, the traffic is incredible! We travel to learn about other cultures, to meet people and to learn a little of their way of life .... the way they do somethings is not how we may do it, but it is not for us to make judgment. 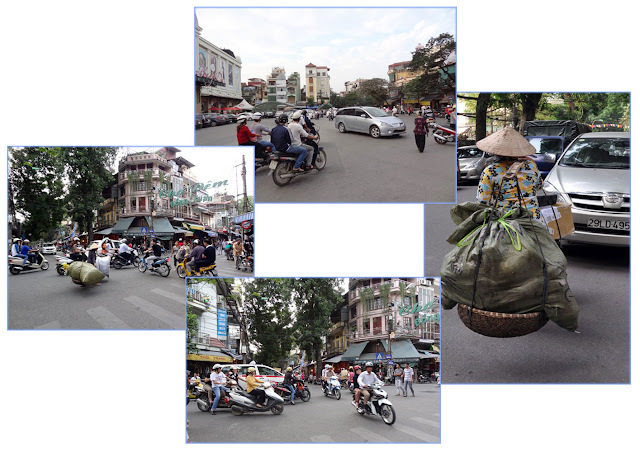 We both enjoy 'wandering the streets' of wherever we happen to be, taking in the smells, the sounds, the activity and the people ... it is all part of the experience and this is precisely what we did when wandering the streets of Hanoi. 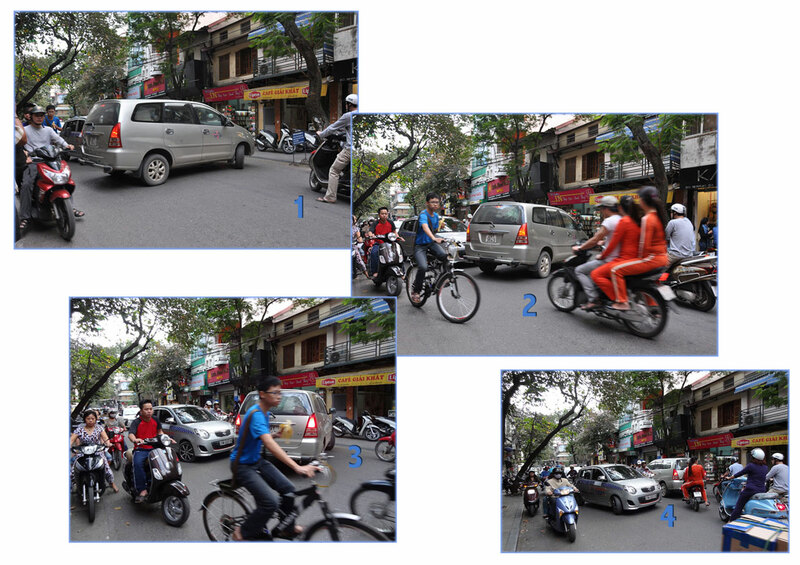 Here are a few images of the streets and traffic of Hanoi, though of course, no image will ever portray how busy the roadways are with the traffic, it looks like they have no idea of rules and regulations .... but hey, it works!! They all know where they are going and how to get there regardless of any rules. If you look closely at the following images, you will see people walking across the road, in between the traffic, without any fuss whatsoever. There is no road rage here, though you will hear the tooting of the car horns to let the cyclists know that they are 'close by' and to be 'aware' of same. HanoiKids - volunteer tour guides - hotel can organise if you book well ahead. 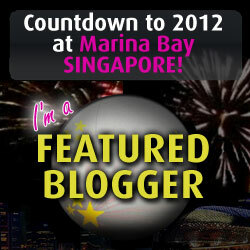 This is the second of many blog postings of our visit to Hanoi and beyond.